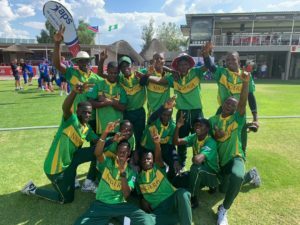 Nigeria U19 Cricket Team proved bookmakers wrong by defeating host Namibia in the opening game of the Africa Division 1. 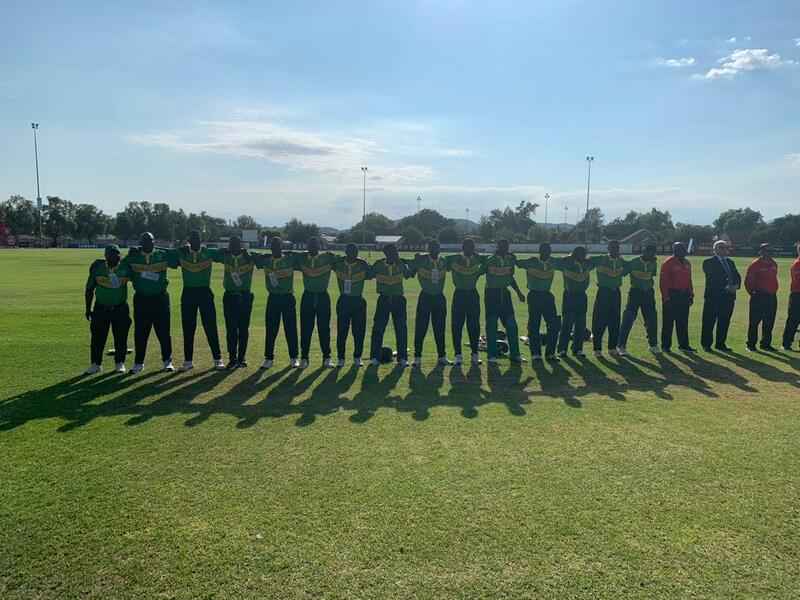 ICC U-19 Cricket World Cup Qualifiers played at the Wanderers Cricket Stadium in faraway Windhoek, Namibia today, Sunday March 17, 2019. 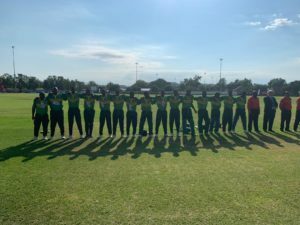 Nigeria won the toss and elected to bat in first. Uthe Ogbimi, Coach of the team said that the victory is pivotal to their campaign in the World Cup qualifier and further boost the players’ confidence in the coming encounters as the game progresses. At the end of the first Innings, Nigeria scored a total of 129 Runs for the loss of 8 Wickets in 50 Overs. 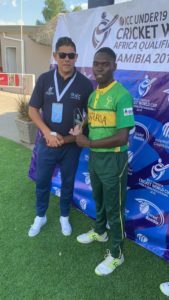 Samuel Mba was top scorer with 25 Runs off 100 balls supported by Miracle Ikaige 22 Runs off 48 balls (Not Out) & Emmanuel Boniface 19 Runs off 31 balls as the best contribution with the bat for team Nigeria. 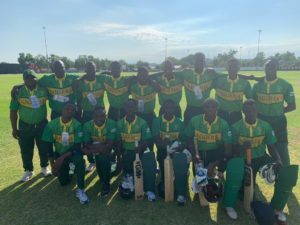 in the second Innings, Namibia could not muster a decent partnership and were shell shocked when Nigeria bowled them all out for a meager score of 77 runs in 32.3 overs. Captain of the Junior Yellow Greens, Sylvester Okpe stole the show by winning Man of the Match Award with a bowling statistic of 3 wickets for 16 runs in 7 overs, while Emmanuel Boniface also contributed with bowling figures of 2 wickets for 1 run in 2.1 Overs. No Replies to "Nigeria U-19 team sends shock waves across Windhoek as Host Namibia is beaten"